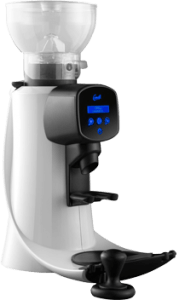 Fracino have developed an extensive range of coffee grinders to fulfill the requirements of all coffee sellers and consumers. 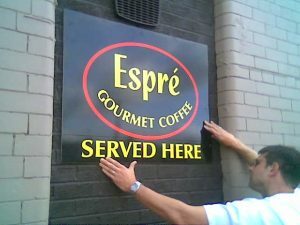 Be it the finest creamy espresso, to the cafetière, from the filter coffee, to the connoisseur blend, and from the café and restaurant environment to the bar or delicatessen. The astounding range of Fracino grinders are manufactured from the highest quality materials, to exacting standards, thus enabling optimum grinding for any coffee type or location. Equipped with the most sophisticated sound proofing technology, these sleek grinders will grind at just 55 decibels. Both produce consistently ground coffee, with little background noise. 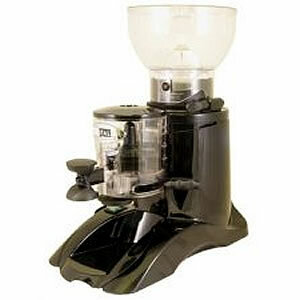 The Luxo and Luxomatic grinders are perfectly suited for use in the more intimate setting. The Luxo model is fitted with a dispenser. The Luxomatic offers touch screen selection for single or double espresso ‘Grind on Demand’ operation. The B, T and S are manufactured from polished, stainless steel, with adjustable grinder blades and portion control. A flick lever mechanism dispenses coffee into the filter holder. Models B and T are manually controlled, whereas model S has an automatic cut off level. Manufactured from die-cast polished and painted aluminum, the extensive K Series are a stylish complement to the Fracino range. 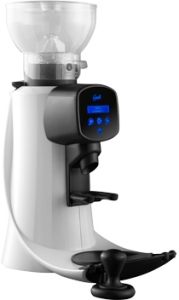 The K3 model is available as a single shot or automatic grinder, encompassing a reservoir for ground coffee. The coffee is dispensed using a stylish aluminum flick lever mechanism set to the measure required by the customer. The models K6 and K8 are also available in silver or polished versions. The model K10 has conical grinding blades for the expert barista. All K series models have adjustable grinding blades.